Enjoy the sunny Los Angeles weather as we take over the parking lot at Link N Hops to bring you live entertainment, over a dozen local craft breweries, wine tasting and a variety of local vendors. 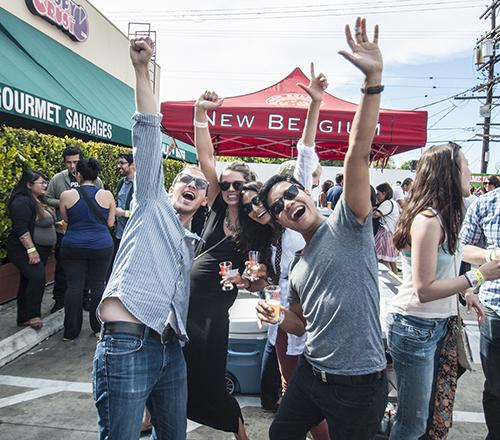 It's a beer fest and neighborhood block party all in one! Atwater Village has become a craft beer destination with a brewery and several great craft beer restaurants - Link N Hops has been on the forefront with over 20 taps of craft beers. We're bringing a lot of great local craft breweries to introduce their flagship beers as well as new and exciting brews. Favorites like Lagunitas, Angel City, Green Flash, Saint Archer and Coronado Brewing will be on deck along with other new and returning breweries. The Atwater Village Festival takes place on Sunday, April 24 from 1:00 pm to 5:00pm. A ticket gets you entry and 15 drink tickets as well as a commemorative glass. A VIP ticket gets you early entry at noon, a gift bag and unlimited tastings. As the Atwater Village Chamber of Commerce President, Andy is dedicated to community. While the neighborhood is already a craft beer destination (with a brewery in North Atwater Village), Link N Hops really set the stage for local restaurants to curate craft beer taps as a priority. 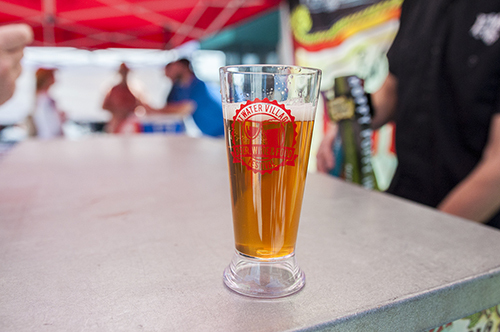 This festival brings two things together - community and craft beer. It started three years ago as an opportunity to showcase what Link N Hops has to offer both as a gourmet sausage eatery and as a way to experience a variety of craft beers from local breweries to international favorites. Quite a few of our festival attendees walk to the festival or come from the immediate area. It's meant to be more of an intimate festival in terms of number of attendees and footprint (the Link N Hops parking lot).